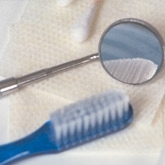 DentalPlans.com provides a hassle-free way to find a Woodstock dentist in our large dentist directory. Just enter your ZIP code to find a money-saving discount dental plan and participating dental care providers in Woodstock, GA. Sign up for the plan that is right for you and benefit from discounts from 10% to 60% on most dental care services performed by dentists such as Dr. Kasie Y Nam. After signing up to the right discount dental plan, visit Dr. Kasie Y Nam or any other participating Woodstock dentist to enjoy savings on General Dentistry according to your plan's fee schedule. At DentalPlans.com, our discount dental plans start at only $79.95 per year and can save you money on dental care services like General Dentistry and more. Our national dentist directory has an enormous selection of general dentists, orthodontists, oral surgeons, periodontists, pedodontists, endodontists, and prosthodontists! So if you are looking to save money on braces or cosmetic dentistry treatments like teeth whitening, bonding, and veneers, our comprehensive dentist directory is an ideal place to find affordable dental care specialists and dentists in Woodstock, GA.